Avalanche kennels is owned and operated by Kim and Lee Chapman. My children Jessica, Christopher and Katelind assist in the care of our dog's and our puppies. We consider all of our animals to be apart of our family. 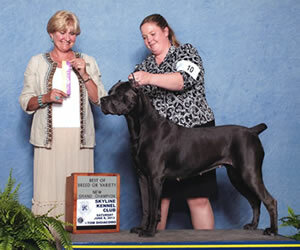 Before purchasing our first Cane Corso, Lee and I did a great deal of research on the breed. We went to Rare Breed dog shows to see the breed in action. 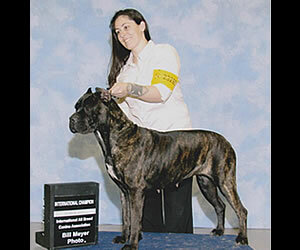 We bought books about the Cane Corso, on how to raise them, what to expect from the breed, temperament, size, aggression, nature, trainability and more. What caught our attention the most as we were doing research, is how everything we read always mentioned how loyal and loving the breed was to their families. We were sold. 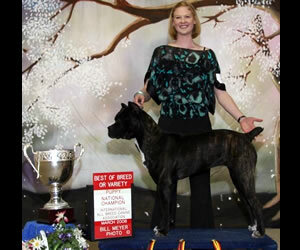 We have come to learn that the Cane Corso is loyal, docile to his owner and the children in their family. They are very affectionate. 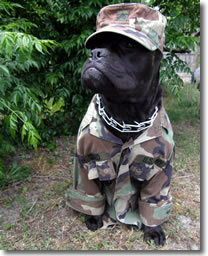 The Cane Corso make excellent guard dogs for their families. This breed is very athletic and needs regular exercise. They make great jogging buddies! 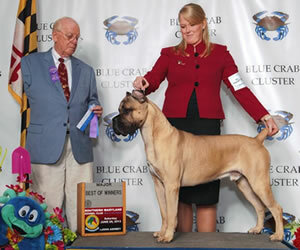 This breed is very trainable and very willing to learn and please. This breed is quiet around the house. They do not wonder off from home and they stick close to their masters. The Cane Corso does not require much grooming. If you wipe his coat down daily with a damp cloth, that will be all the grooming he should need to help with shedding. The breed is a very light shedder. The breed does well in an apartment, as long as you exercise him daily. 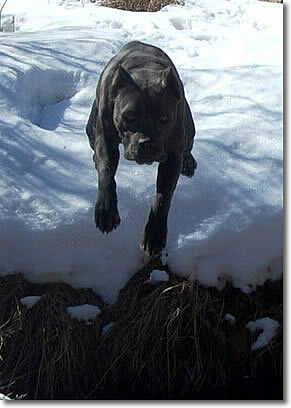 Diesel was our first Cane Corso. I have watched him grow from a puppy into a great dog. He is very calm, loving and happy. Diesel holds a very special place in my heart since my Thanksgiving robbery attempt. I can now testify that what I read was true. 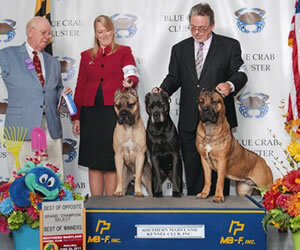 The Cane Corso is a very loving and loyal breed to their families. They will protect you to the bitter end, and love you with all their heart. I now own several Cane Corsos and love them all dearly. Enjoy your visit to our site, and please contact us to learn more about this breed and/or with any questions you may have! 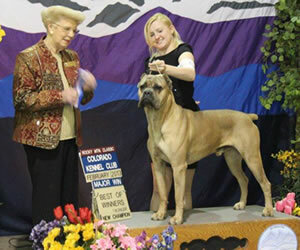 Avalanche is proud of the Champion dogs we have produced, and their owners for their accomplishments with them! I am proud to say that I bred the Cane Corso in this commerical (below). His name is Avalanche's Crnobog, but his friends call him Judge. Thank you Josh & Mel Strand for all your hard work with him. He is amazing!! !